Every time I download a file using Safari on my Mac, the file ends up in my Downloads folder—and each and every time, I drag the file out of my Downloads folder and onto my desktop. There must be a better way, right? Well, there is, actually—and in fact, you can make Safari (or just about any browser) put your downloaded files anywhere you want on your Mac. You can make Safari put downloaded files anywhere you want on your Mac. 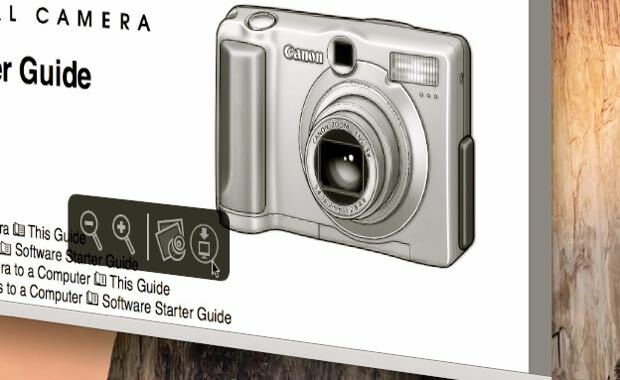 Open Safari, click the Safari menu in the top-left corner of the screen, select Preferences, then click the General tab. Next, see the “Save downloaded file to” pull-down menu? The default setting is the Downloads folder. To change it, click the menu, select “Other,” pick a place on your Mac’s hard drive (like Desktop). then click the blue Select button in the bottom corner of the window. Now, go ahead and close the Preferences window, then try saving a file using Safari. When you do, Safari will save your download to the directory you picked, skipping the Downloads folder. 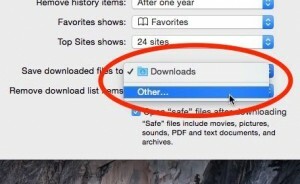 You can change the “Save downloads to” setting on just about any browser, not just Safari. With Chrome, for example, click the Chrome menu in the top corner of the screen, select Preferences, click Setting in the left column of the page, go down and click “Show advanced settings,” then pick a new directory under the Downloads section.